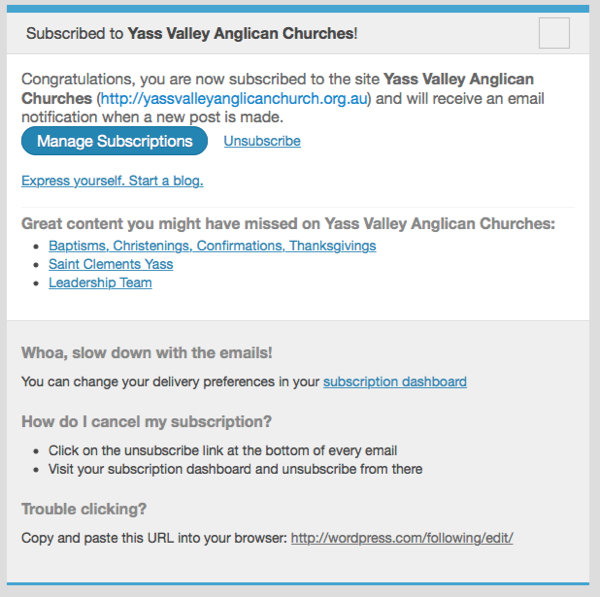 Do you need to stay up to date with what’s happening at Yass Valley Anglican Churches? You can have an email delivered to inbox when the news and updates such as “Pews News” goes live. 1 Easy, fill in your details on the right hand side or beneath this page depending on the type of device you are using, press “Subscribe”. 2 An email will come to your inbox to confirm your subscription like the image below. 3 Select the button “Confirm Follow”. 4 An acknowledgement email will be delivered to your inbox like the one below. 5 Email updates will come direct to your inbox. Do you need to Unsubscribe or modify your subscription options? 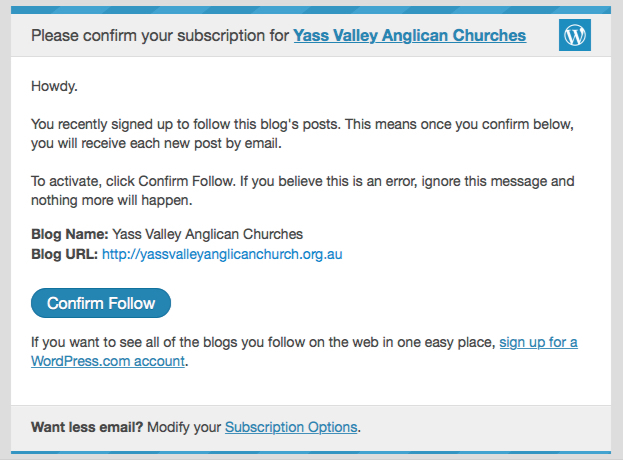 2 You can now “unfollow” or “modify”from the newsletters. Please Note! 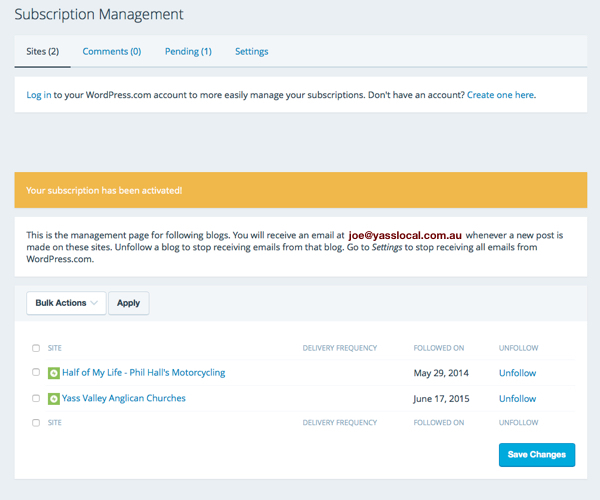 You do not have to create an account at WordPress.com to modify your email subscription services.